Over the years we have posted numerous times on the value of indigenous knowledge and traditional ways of being, knowing and doing. As an anthropologist, one of my core interests lies in bridging the gap that exists between indigenous knowledge and western modes of thought in search of alternative ways of approaching problems. This very approach is occurring in Colorado on the lands of the Southern Ute. 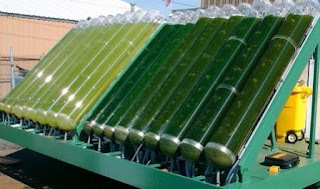 A recent NY Times article details a venture between Solix Biofuels and the tribe that aims to create biofuel from algae, all the while maintaining a distinctly indigenous approach. Labels: corporate issues, green issues, indigenous issues, science, U.S. This is great. I wonder if there are more plans like this being implemented. It would do the US well to reassess its perspective like the people here have.